The Robert Charles Collections are inspired by Nature at her boldest and vibrant best. Audacious by design, playful on purpose and consummately creative, Robert Charles is self-expression at its highest. Originality now has a name. Statement is now in style. And fun is finally back in fashion. Robert Charles is as much a collection of vibrant accessories as life is a collection of different moods, different days and different opportunities to be a different colour. Colour yourself individual. Robert Charles says own your originality. There's only one of you and now you can be any colour you like. So exacting is the task of preparing the purest silk to replicate the natural imagery of Robert Charles designs that it is washed and treated in two different countries, both before and after the printing process, to maximize resolution and contrast, guarantee colour fastness and ensure a truly luxurious feel to the finished fabric. Every Robert Charles tie is handmade, complete with double-wool interlining to ensure softness and luxurious touch by a proud boutique in the Italian city of Como. 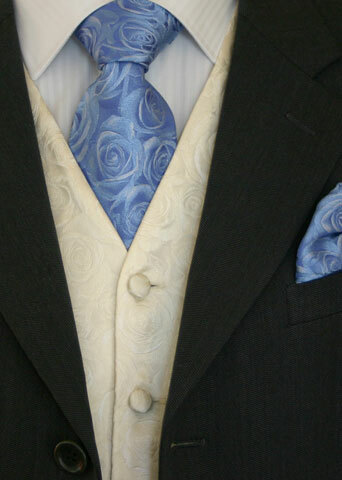 Pure silk tipping ensures every element of every tie bespeaks immaculate quality. The final process requires the hand-stitching of 2 separate "bar tacks" in gold thread on the inside back to ensure the tie doesn't open once stitched. It is also in this ancient city that the Robert Charles range of braces and belts are handmade, employing skills and materials of exemplary Italian quality. For the making of Robert Charles bow ties, handkerchiefs, cummerbunds, cravats and waistcoats, yet another small boutique company still practices traditional Italian methods of creating the finest quality handmade accessories. 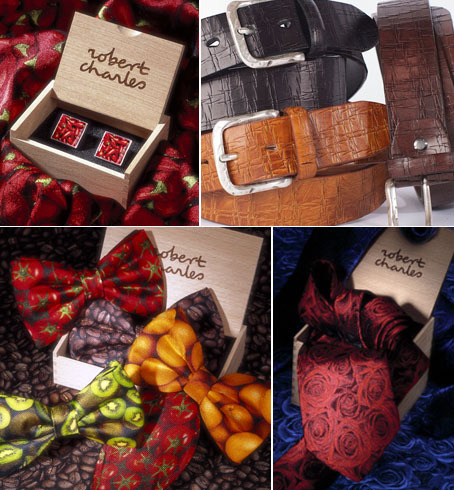 Robert Charles accessories make the perfect gift. This is your chance to express your feelings to someone really special in the most charming and original way. The exquisite packaging is a statement in itself, and a testament to the quality and care that is behind each and every product. The extent of the range allows you to vary your gifts for all occasions, from highly original cufflinks to seductive and stylish belts, to elegant and timeless handmade ties made of the finest silks; to name but a few.